[HollywoodInvestigator.com] President Obama has perfected a politician’s most coveted talent, speaking out of both sides of his mouth at the same time while sounding like a great leader. The latest display of how he's honed this skill was a speech he just gave in El Paso, Texas. From one side of his mouth the president said he wanted to do his part to lead a "constructive, civil debate" on immigration, while from the other side of his mouth he accused Republicans of wanting to build an alligator-filled moat along the border. Frank Zappa once said that we were a nation of laws, badly written and randomly enforced. Our immigration laws are a perfect example of that principle in action. Americans routinely ignore or flaunt dumb laws. You do that every time you drive five miles over the speed limit. What many Americans do when confronted with a stupid, dumb, or unjust law is, in effect, nullify that law by ignoring it. Millions of Americans nullified Prohibition in the 1920s during America’s first failed attempt to control human behavior by outlawing a substance almost everybody wanted -- alcohol. Disobeying unjust laws is ingrained in the American consciousness. Thomas Jefferson said that it wasn't just our right, but our duty. He said, "If a law is unjust, a man is not only right to disobey it, he is obligated to do so." Perhaps it was the former president who inspired Dr. Martin Luther King to say, "There comes a time when a moral man can’t obey a law which his conscience tells him is unjust." That’s what is happening with the so-called "illegal immigration problem." We essentially have a black market in labor created because the law is unrealistic, unfair, unjust, and unenforceable. Democrats and Republicans are simply not interested in resolving this issue because it’s too valuable for them to exploit it for political purposes. Politicians want you to believe that illegal immigrants come here only to leach off welfare, or that they are a threat to national security, or that they will take jobs away from Americans. 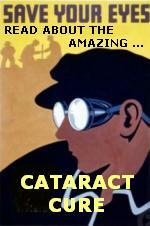 As usual, Democrats and Republicans use arguments intended to instill fear, to divide us against another, to curry favor with special interest, ethnic, racial or language groups, and to divert our attention from the truth. People come to America -- legally or illegally -- for the same reasons they’ve been coming here for centuries. Immigrants come here looking for freedom, for economic opportunity and to make a better life for themselves and their children. They will continue to come here legally or illegally so long as America holds that promise. The economic reality is that most low-skilled immigrants enter the U.S. illegally because there are hundreds of thousands of new jobs here waiting to be filled; there aren't enough Americans available to fill them; and, the law doesn't allow them to enter America quickly and easily enough to fill these temporary jobs. For example, if you are from India and hold a doctorate, it will take you only about five years to complete the process to legally immigrate. But, if you are an unskilled Mexican laborer, it will take you 130 years to immigrate to the U.S. and legally become a citizen. No wonder people are swimming the Rio Grande. Tougher immigration laws won't reverse this natural and historical process. More laws will not keep people from crossing our borders anymore than the laws we have right now. And, the very idea of building a high-tech version of the Berlin Wall should be particularity repugnant to Americans, especially those of us who grew up watching images of people being shot as they attempted to escape from tyranny in that German city. Treating illegal immigration as an economic issue means changing immigration law to match the reality of a dynamic society and labor market. Instead of building walls we should be opening doors. America should be creating a sane and humane immigration process to screen out terrorists and criminals while allowing honest, peaceful, hardworking people to come here to work and help build on the American dream as millions have done before them. 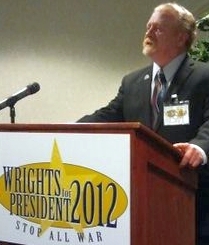 R. Lee Wrights is a candidate for the Libertarian Party's 2012 presidential nomination. He is co-founder and editor of Liberty For All. Wrights was born in Winston-Salem, NC, and now lives and works in Texas. 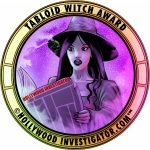 Also read the Hollywood Investigator's A Nation of Assimilated Immigrants, and Illegal Aliens: American Slaves., a Two Sean Baker Films Sympathize With "Illegal" Immigrants.